From a single hedge or leftover garden waste to the removal of one or multiple trees, South London Tree Surgeons offer our expert clearance services to both commercial and residential clients. 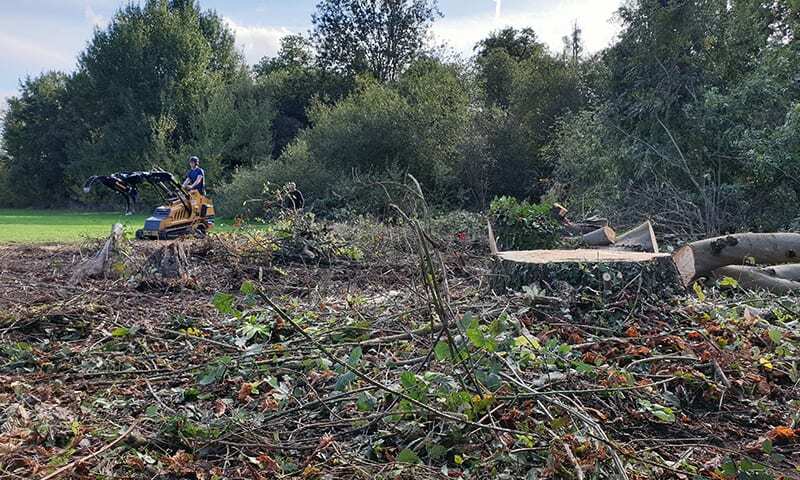 Over the past ten years, we’ve helped landlords, developers, construction companies and property owners to rid their site of unwanted trees and plants, opening up the space for new developments or landscaping. We have the tools and experience to take on site clearance jobs in Croydon, Dulwich, Crystal Palace, Clapham, Norwood and beyond. No matter how big or small, Get in touch with a member of the team today for a free, no obligation quotation. Remember – we’re able to provide expert consultation and advice on your site to help you get the best possible results from your developments. All of our staff are NPTC qualified so take advantage of their professional knowledge when planning your site clearance projects..
We’re also fully insured with up to £5m of Public Liability and Employers Insurance, giving you the peace of mind that all work will be carried out to the very highest safety standards.